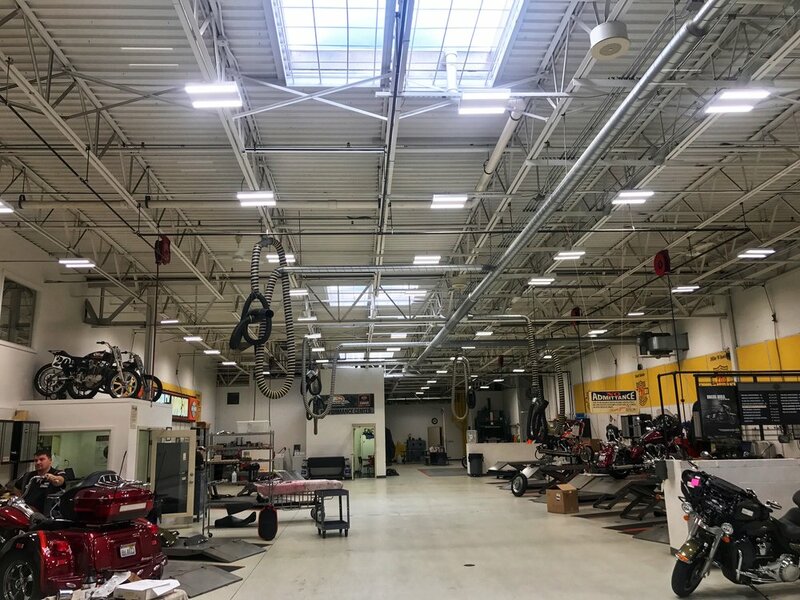 18,000 lumen Metalux VHB used in the showroom and service shop and storage. Replaced existing 400w MH in the showroom, and 3-lamp 8’ T12HO. In addition to a significant Ameren rebate and energy/maintenance savings, the light levels doubled in the showroom. The service area maintained 150-180fc average, and the space appears much taller and cleaner. Customer feedback was that the bike colors looked better and there was no loud hum from HID anymore.